Interesting post on “Creativity in a Constrained World” from Ben Malbon following the Firestarters NYC event where he spoke to to Adam Morgan and Mark Barden, authors of A Beautiful Constraint. I also appreciated the section on “Can-If” thinking (in contrast to “Can’t because” or simply “Can’t”). I’d like to have my clients read this before every project! I’m fine working with constraints, but there is a huge opportunity cost to working with constraints that aren’t real. There is some very sound advice in here for thinking about how to solve problems and getting more done with the resources you have. As an example, Dr. Seuss wrote a series of best selling books using only 236 individual words. Printing, outsourcing and “marketing services” companies who often operate without much marketing or any advertising can learn from this example. Designers who are frustrated with the limitations of paper, the limitations of regulations and the limitations of the clients they work for can also can gain insight. 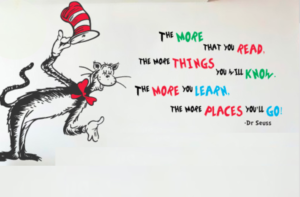 I have to give a tip of the Cat’s Hat to anyone who can turn Dr. Seuss into a business case.